Welcome to our website, we are Sahara adventure Travel a Moroccan travel agency based in Fes city, which organize Morocco desert tours tailored and customized to your needs and budget. Morocco Imperial Cities where you can discover the rich and interesting history, as well as its stunning Moroccan Architecture. Morocco Desert Tours where you can expand your vision of the world by meeting new people and observe magical places and landscapes. Luxury Morocco Tours that provides you a luxurious pleasure through your tours. We also offer Morocco Historical-Cultural Private Tours, Jewish Heritage Tours Festival, Art tours, Atlas Mountain-Trekking Tours. All these outstanding tour will blow your mind with unforgettable moments full of stunning natural landscapes with unique architecture, a prosperous culture, and famously hospitable locals. Not to forget, that your Tailor-made holiday are organized for families, small groups, couples, solo travelers, in addition, the tour can start from any city in Morocco based on your request, whether from your hotel / Riad, port, airport, Bus or Train station to begin your Morocco Desert Tours. The only way to get closer and understand a culture is through its cuisine. As you know Food is a crucial aspect in the Moroccan culture, which is usually a mix of flavourings, spiced by Andalusian, Berber and Mediterranean influence. While some spices have been imported for centuries to the region, others are uniquely Moroccan. These include mint from Meknes and saffron from Taliouine, Tajine, Couscous, Pastilla, Harira … and the famous Moroccan green tea with mint all are the must-try food and with us, you will be sure to taste all what the Moroccan cuisine especially the legendary Fes restaurants can offer from delachaise dishes. You may get to taste all these outstanding through our amazing Morocco desert tours. Our Morocco desert tours are guided by knowledgeable local guides and drivers who have a firm grasp of the English language, and will take you through outstanding places and roads to discover more than the usual touristic destinations. Sahara Adventure Travel arrange Morocco Day Trips & Excursions to Discover the Moroccan Culture & History through meeting your needs and exceed your expectations Our variety of Moroccan Desert Tours departs from numerous cities in Morocco such as Tangier, Fez, Meknes, Agadir, Marrakech, Casablanca, Rabat or Ouarzazate. If you still torn between which city you should choose to visit, SAHARA ADVENTURE TRAVEL did select some reasons that will make it easier for you to decide the perfect destination to the perfect holiday where our Morocco desert tours team will organize your tours. Do not hesitate to call our company the Sahara Adventures Travel and experience a wonderful Morocco desert tours that suits your schedule, budget, and requirements. Our agency is available 24 hours a day and 7 days a week. .The Moroccan weather is a "Mediterranean climate" which is similar to that of southern California, with lush forests in the northern, central mountain ranges of the country, and drier conditions further southeast. All these factors represent a crucial part in the Moroccan scenery which соmbіne ѕаnd, wаtеr аnd ѕnоw, which is worth visiting and enjoying all its natural landscapes. 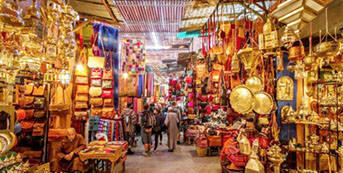 Another important activity among our list is to explore the Moroccan souks for shopping. As you know that Morocco is a mixture of cultures of Berber, Arab, Andalusian, Jewish, that resulted in very vivid, attractive goods, that are pure pieces of art. Through your visit to the souks and markets, you will get to know more about the artisanal society in Morocco, which is very exciting. So our purpose here is to discover and explore these crafts that were learned from generations. 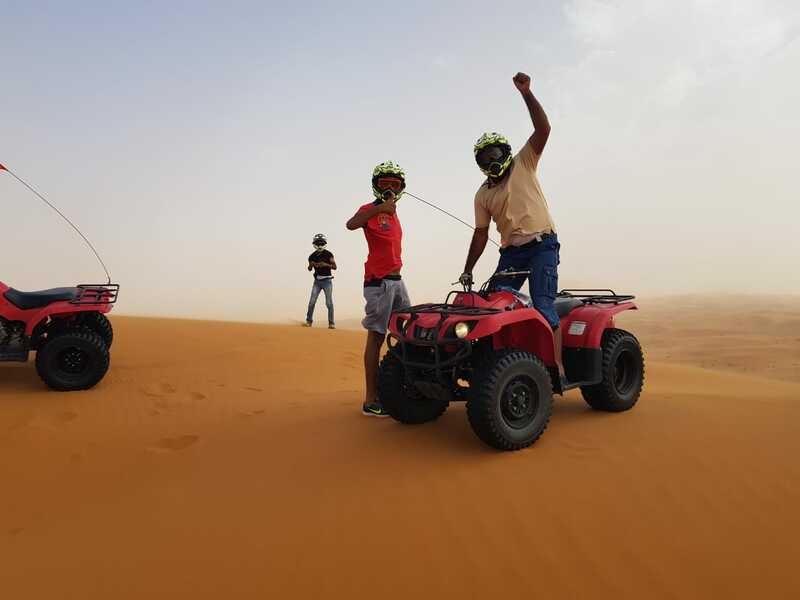 Sahara adventure Travel provides a selection of Morocco desert tours and many other trips and private tours, for groups, solo travelers, or couples in order to introduce this country with its most excellent sceneries. Among our offers, you will discover the necessary information and stories about the culture, architecture, historical monuments…etc, that will make your journeys more interesting. 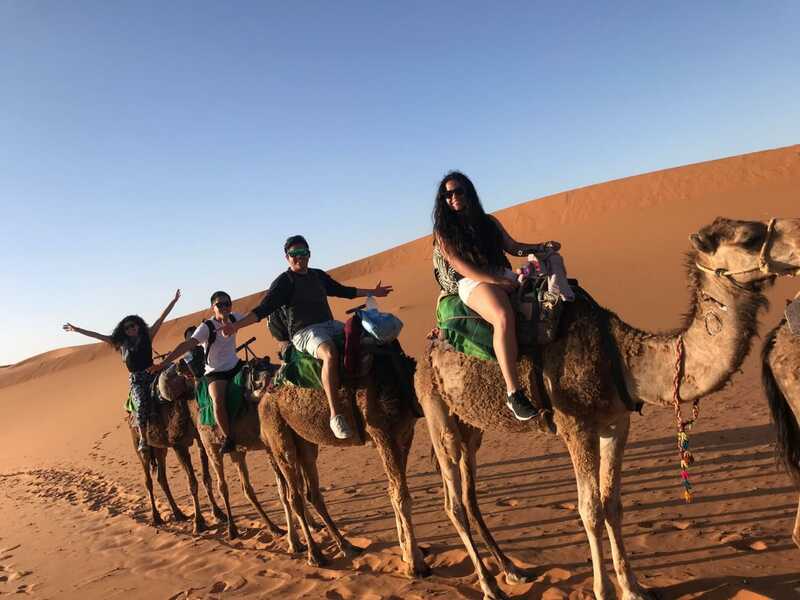 Morocco desert tours will help you realize your dream travel while keeping in minds your needs and requests, to make a simple trip into the real life experience with social and environmental responsibility. Our Morocco desert Tours are available all over the year and start from everywhere and every time you want. In Morocco, as in most of other countries, price rates of many hotels, hostels, riads, etc are seasonal. We therefore need to know the period in which you plan to visit our country in order to give you the most correct rates. Our ultimate aim is to help to get in touch with the authenticity of the kingdom, and to discover the beauty of Morocco, with our team you will be able to customize each adventure according to your wishes and according to your budget. Note : Our Morocco desert tours are available all around the year and start from everywhere and anytime you want, with the possibility of modifications according to the your requirements.